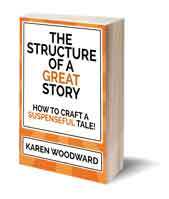 Karen Woodward: When Should You Send Your Short Story Out For Critique? When Should You Send Your Short Story Out For Critique? In her blog post today, Jody Hedlund brought up an important issue, one I've been thinking a lot about lately: critiques. I don't mean what critiques are or how to write one but about when, in the life of a project, we should send our 'word babies' out into the, potentially hostile, world? When Should You Send Your Short Story Out To Beta Readers? After the first draft? The second? The third? Should we let others read our stories while they're still in development or wait until we've ironed the kinks out, as it were, and are (we think) ready for a larger audience? Every writer is different, has different requirements, different expectations, different vulnerabilities, so what works for me might not work for you and vice versa. That said, here's my take on it. I like to involve beta readers at an early stage because they have something I almost completely lack: objectivity. 2. Read over the first draft and do another couple of drafts. - Check the draft for grammar and spelling mistakes. 3. Give the first draft to a trusted beta reader, someone who has read my work before and given me valuable feedback. - Wait patiently for him to read my story. - Ask questions only for the purpose of clarifying the feedback. Never defend. Never explain. 4. Give myself time to think about what my beta reader said. Decide how I'm going to incorporate the feedback into my draft. 5. Write another draft, one that incorporates some of the feedback just received. 6. If my beta reader is up for it, I give the revised draft back to the same reader and ask for his feedback on the changes. 7. Depending on the feedback, I may go through this process a few more times. 8. 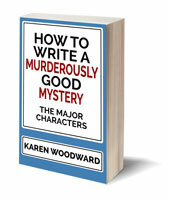 After I feel I've ironed out most of the bugs using this process I give the story to my other beta readers for feedback. 9. I accept the feedback, change the story where I think it needs it, and give it back to any of my beta-readers that are up for it. I repeat this process till the story seems as good as it's going to get. Let me put on my business hat for a moment. So. To maximize sales and minimize authorial angst I like to get as many eyes on my manuscript prerelease as I can. Now let me take off my business hat and put on my scuffed and worn writer hat. Stories don't live on paper. Like dinosaur bones, they reside deep in our conceptual earth or, like stars, exit 'out there' in a conceptual sky. We put bits and pieces of them down on paper, sometimes doing funky things with flashback sequences, but the stories themselves exist without us, though they do need us to dig down, find them, and reveal them to the world--or at least to the world of our readers, those wonderful people who make our creative madness possible. When I read one of my stories my eyes are still on the stars and I don't see the words. I don't know if what I've written will be adequate to communicate what I saw. Over time the vision will fade and I'll lose a bit of the shocking immediacy that blurred my sight. I'll then be able to read one of my stories and see how the language flows--or doesn't, as the case may be. I will then be able to see the vessel (the words, the language) and not just the thing itself. I hope that doesn't sound too 'artsy'; I think we each have our own mythology about where our stories come from, each as true as the other. When I write, I try to use words that will evoke the story I'm discovering within myself. I try to write something that will evoke that thing, that story, that experience, in another. The only way I can know if I've done that is to get other people, lots of other people, to read my scribblings and tell me what they 'saw', what they experienced. Then I tweek my words so the story I uncovered within me is the same thing they connect with within themselves. I look at critiques both these ways, sometimes with my business hat on, sometimes with my writer hat. What I say about critiques, and about why they are important, depends on which hat I'm wearing, which perspective I'm seeing the issue from. Some of you may be worried about having your manuscript brutalized by a reviewer/reader/critiquer having a bad day, or otherwise out for blood. I wish I could say it'll never happen, but it will. Just like getting a one star review is inevitable, having some clod do a vivisection of both your and your story is like a right of passage. It changes you, but you survive to write another day. I remember the first time my work was brutalized. It was the first notes/critique I received on a particular manuscript so I was crushed. I cried, I felt like crap. I figured if this was one so bad, what were the rest of the critiques going to be like? But I did one good thing: I didn't respond and just waited. It turned out the other folks liked the manuscript, though (as expected) they pointed out a few places where it needed work. My point is that when you get a hateful review know that person isn't responding to you, they aren't even responding to your work, they are either having a bad day and using the opportunity to vent or are the sort of person who thinks belittling others is fun. Whatever the case, ignore the critique. Stop reading, set it aside. I think I'll always be affected by nasty critiques, but you learn to shrug it off and move on. The only time the bully wins is if you stop. Question: When do you send your story out for critique? What is your process? 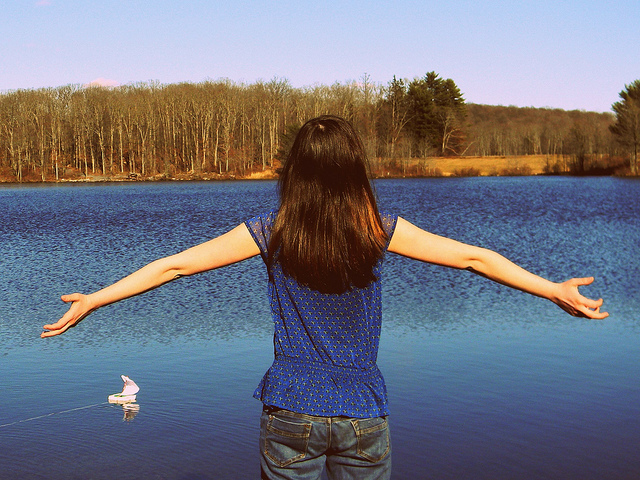 Photo credit: "143/365 Come Sail Away With Me" by martinak15 under Creative Commons Attribution 2.0. I remember the moment I learned that I could be a writer. I wrote an experiment titled 'Rain', a piece with sing-song narrative, written in present tense. I took it to my writers' group. The two editors panned 'Rain'. They told me everything I had done wrong, both sins of commission and sins of omission. Some of the wannabees joined in. One amused me when he said there was a line that worked but he didn't want it to. Then Patrice said, "I like it." She liked the sing-song narrative. She found the present tense edgy and immediate. It worked for her. A battle began between the editors and Patrice. A member who disliked me and trashed everything I wrote joined with the editors and pointed out a perceived flaw in my story. Another member rejoined that I had covered that in the previous paragraph. Patrice had an ally. 1. I had to listen to all critiques, but I did not have to adjust my writing to suit all critiques. 2. To be successful, I did not need to please everyone. I only needed to please some. Yes, that. What you said. I had the pleasure of hearing Robert Sawyer talk last year. He said what I've heard others say, that many of the best stories receive that same reaction: half the people love them and the other half hate them. So contrats!